Have you ever thought about getting paid for the content you create? Are you passionate about helping your readers discover new products and services? In this episode, Serena Appiah will show you how to make money with sponsored content. This is part one of a two-part series because there’s lots to cover with this topic. So be sure to come back for part two in episode 262! Serena Appiah left her job in January 2015 to blog full-time at Thriftdiving.com, where she shows you how to decorate, improve, and maintain your home on a DIY budget. She’s a creative at heart and thrives when she can make something beautiful out of something ugly. Since leaving her job over a year ago, she’s had her share of trials and successes. Since making blogging her #1 gig, Serena says she’s generating a lot more sponsored content. 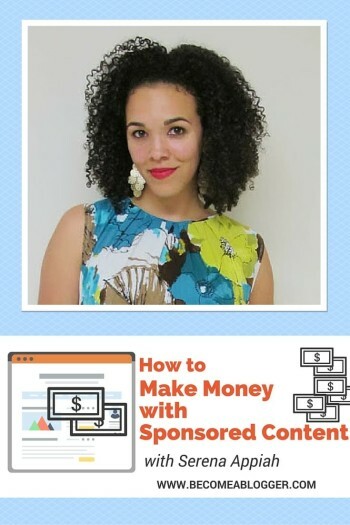 In this interview, she’ll show you how to make money with your blog using sponsored content. Side note: Here's a great article she wrote on 10 Things a DIY Blogger Doesn't Tell You. Sponsored content is content that you produce that’s paid for by a brand. You might be promoting a product or a service. It can be a great way to make money by talking about brands that you already know and love. Sponsored content is different from affiliate marketing. Usually, you get a set amount for creating the content, rather than making money based on the number of clicks or sales your post generates. You’re building relationships with brands. You’re introducing your readers to products and services that they may not have known about otherwise, so you’re providing great value for them. Cons: Creating too much sponsored content can turn people off. The trick is to make sure that you’re creating really high-quality posts, even when they’re sponsored. Having too many sponsors can turn certain brands off. You don’t want to seem like your site it for sale to just anyone! 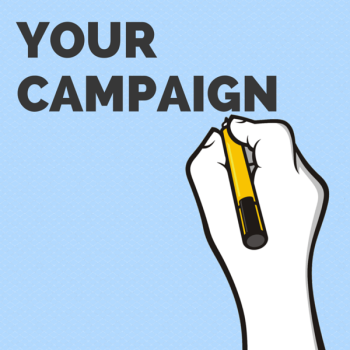 Be savvy about which campaigns you choose and how many brands you create content for. You don’t want your sponsored content to come across as fake. You can avoid this by mixing it up. Serena suggests that if you post new content three days per week, you could reserve one of those days for sponsored content. That leaves two days for your original content, which keeps your blog nice and balanced. What’s possible with sponsored posts? On the low end, Serena says she’s done sponsored posts for about $170. On the high end, it’s more like $750 or $1000, but she’s ready to start asking for more. Serena says it’s important to know your own value, especially when you have some bargaining power and you’re negotiating directly with a brand. Creative marketplaces like Social Fabric often have set prices, so you don’t have as much control. But we’ll come back to them later. Your readers and subscribers trust what you say about products and services, and that makes you really valuable to brands. Serena’s advice? Name a figure that makes you uncomfortable. If you ask for $1000, and the brand comes back with an offer of $800, you’re way better off than if you asked for $400. Know your own value, and soon you won’t be uncomfortable asking brands for more money. How do I start getting sponsored posts? 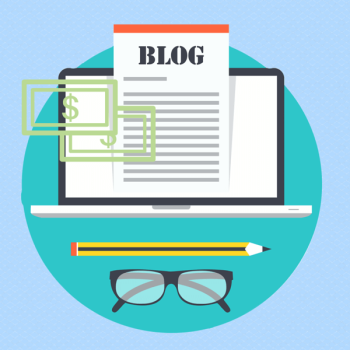 Before you start looking for sponsored content, Serena says you should make sure your blog looks like a million bucks. Content is king, and brands want to see that they’re going to get a great service from you. So no matter how much traffic you get, create content as if a million people are reading your blog every month. This means great photography, a nice layout, and lots of value for your readers. Make it look top notch! You want potential sponsors to be really impressed with the look and feel of your blog. If a brand pays you for a sponsored post, your content reflects back onto them. Would you want your sponsors to come to your page and see bad language? Only if you’re in a very niche market. Serena’s advice is to keep it clean. When you’re ready to look for sponsored posts, creative marketplaces are a great place to start. They’re basically middlemen: they connect you to brands looking for bloggers to create sponsored content. 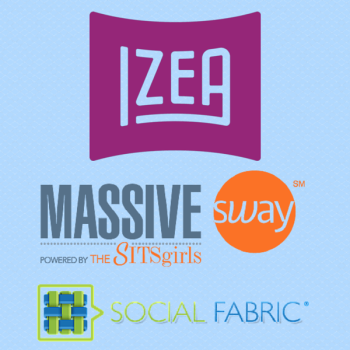 Serena recommends Social Fabric, Izea, and Massive Sway (also known as the Sitz Girls). When you go to any one of these marketplaces, you’ll see a range of campaigns that you can apply to. You’ll see the name of the company, sometimes some prompts to tell you what they’re looking for from your post, and the amount you’ll be paid if your application is successful. Once you find a campaign that you’re interested in, you’ll need to submit a pitch. You don’t have to have a hugely popular site or lots of traffic to be successful. Great ideas and great content matter more. Serena says that you need to be specific, enthusiastic, and creative when you write your pitch. Specific: Tell the brand exactly what you’re going to do in your post. Give as many details as you can. Enthusiastic: If you’ve used to product or service before, tell them how much you like it. Regardless, let the brand know that you’d be really excited to work with them. Creative: This one might be the most important of all! You’ve got to think outside the box. Serena told me how she landed sponsorship from Irish Spring soap by pitching a post about building a DIY shower caddy. It’s not what you’d expect—and that’s exactly the point! What happens once you’ve got the job? If your pitch is accepted, you’ll get some instructions from the brand. Read these carefully and make sure you stick to them. It’s always a good idea to go above and beyond for the brand. For example, they might not have asked you to link to their Facebook page or Twitter accounts, but they’ll be really impressed if you do! Giving them even more than they asked for can help you build a relationship with the brand so that you can work with them in the future. Finally, make sure you get things in on time. What about going directly to brands? Serena says this is a really great way to build a relationship with a brand. But how do you reach out to brands you’d like to produce sponsored content for? Serena suggests thinking about posts you’ve done that weren’t sponsored but featured a great product. You can share that post with the brand on Twitter, for example. Tag them in, follow them on Twitter, be visible for them on social media. That way, when you send them an email pitch later on, they’ll have an idea of who you are and what you can do for them. Another way Serena meets her sponsors is at blogging conferences. Usually sponsors will have tables where you can meet PR representatives and exchange business cards. When you get contact info from a potential sponsor, follow up right away. Like, as soon as you’re out the door, send them an email. Say that it was really great to meet them, and add a personal touch so that they remember who you are. Then follow up with them every few months to pitch ideas and ask about any opportunities they might have for you. Twitter is also a great place to connect with brands. Follow their accounts, join their Twitter parties, add them to a list. By the way, Serena says you can follow up and build relationships with brands even if you first connected with them through a creative marketplace like Social Fabric. If you had a great experience working for a brand, get in touch again six months later with a new idea for a campaign. If you need to find contact information for a brand, Serena suggests searching the company name and either “PR” or “media relations”. This often takes you straight to a contact number or email address. One last thing you should know about sponsored content: you want to make sure that the post uses a nofollow link. 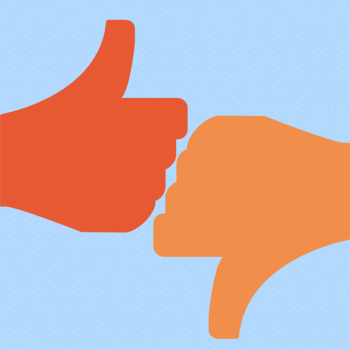 A nofollow link makes sure that you and the brand are not penalized by Google for creating sponsored content. Similarly, say no to any brand that asks you to use a dofollow link. It’s not worth it! I do sponsored post from time to time but the influencer programs I’m in are requiring higher social media following recently. They are looking for 35,000 to 50,000 followers from all social media platforms. I have about 21,000. Very interesting interview. I didn’t think this was something I’d be interested in doing, but now I am very curious to test this out. I do have one question if Serena checks this post. Do the brands require any editorial control over the sponsored content? I saw that one of them differentiates the sponsored content with a review by saying they are not paying for your opinion. Has she ever seen a brand reject or ask for edits of a sponsored post? Some sponsored posts do require client messaging that they’ve asked for. So if it’s not in the sponsored content, they may ask you to go back and add it in. I actually have had a sponsored video rejected because they thought it didn’t focus as much on their product versus the overall project I was showing in the video. I ended up having to re-do another video that was more of what they wanted. But to prevent something like that happening, make sure you know up-front what their expectations are. For example, you may think that you can just show the product (like product placement) but they may be expecting a full-feature where you’re discussing the product. There’s a difference! It’s good to know up front what they’re expecting you to do and what messaging they want included. Very interesting. Sounds like when I used to write advertorials. Thanks for clarifying and sharing your story!